You are Officially Invited to Attend Fan Days Dallas 2018. Dallas Fan Days NEWS Don’t Miss Dallas Fan Days in Irving, Texas 10/19-10/21. We list all the Dallas Fan Days Complete Info. Below you will find Ticket Info, Official Website Links, Maps and Costume Suggestions from Dallas Vintage Shop. Like This Doctor Who, Matt Smith Outfit! We also have every Movie, TV Show, Comic Book, Fairy Tale, Legendary, Sci-fi, Fantasy or Video Game Characters Costumes you can imagine. Get Complete Outfits or just the Accessories, Wigs, Makeup, Weapons or Costume Pieces you need to upgrade or update your Outfit. We are the Fan Expo, Comic-Con, Comic Book Show Mega-store for DFW and Texas. This Dallas Fan Days 2018 Costume Provided by Dallas Vintage Shop. “Dallas Fan Days is an annual comics, sci-fi, horror, anime, and gaming event in Texas. It is packed with exciting family-friendly activities, celebrity & comic guests, and much more! The pop culture extravaganza is host to tens of thousands of fans at the Irving Convention Center for the three-day event every Fall. 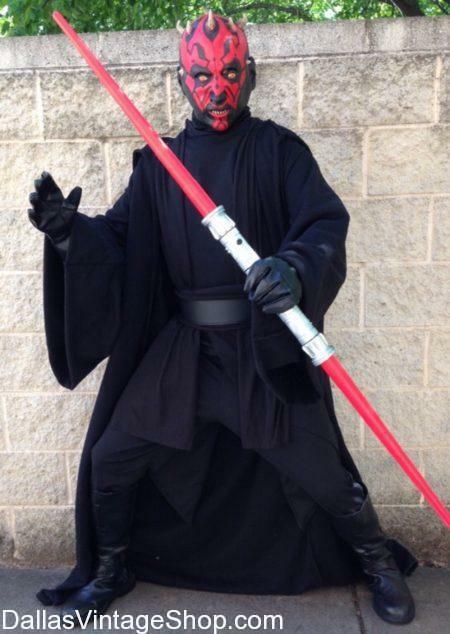 Find Endless Costume Ideas and Possibilities of the Dallas Fan Days 2018. We Like This DFW Area Event! Join Dallas Fan Days 2018 for a Weekend of Comic Books and Cosplay. All the Dallas Fan Days 2018 is in all the Links Below; Get Tickets, Get Maps, Get Schedules, Times and more. Get your Superhero Costumes & Accessories at Dallas Vintage Shop. This Star Trek, Uhura Cosplay is only one example of 10’s of 1000’s of Complete Outfits you can assemble, on the spot, in our shop. Get Comic Book Characters, Super Heroes & Villains, Video Game Action Characters, Fantasy Garb, Weapons, Makeup, Prosthetics, Wigs and anything you can think of here. Fan Days Dallas INFO: Dallas Fan Days 2018, October 19th – 21st, 2018 @Irving Convention Center. Here is an Excellent Festival Event Suggestion for Costume Lovers! All Fan Days Dallas 2018 Info Can Be Found Here! We Have All Your Event Tickets, Event Maps, Event Dates and Times. 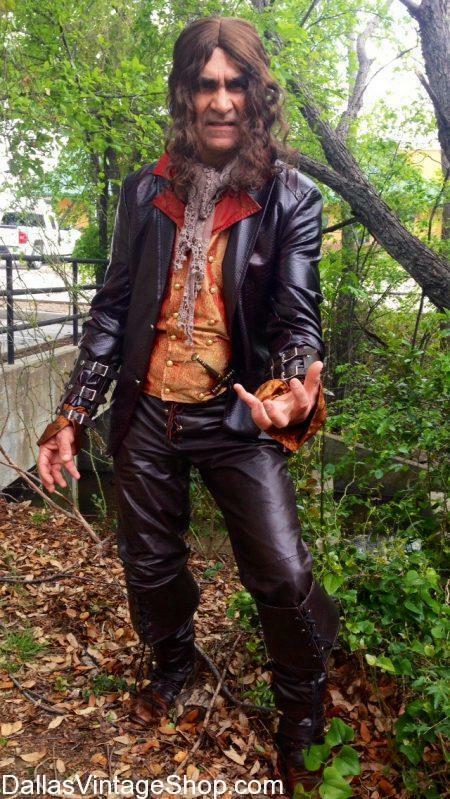 This Once Upon a Time, Rumple Costume just a small sample of the Fantastic costumes we have Available! Come into Dallas Vintage Shop and Find an unbelievably large collect of Comic-Con Cosplay Contest from Marvel, DC Comics, Super Heroes, and Villians. Looking for just a few Accessories to finish a costume? We have Superior Quality Wigs, Makeup, and Weapons! Attend This Great Festival! DALLAS EVENTS: Dallas Fan Days, 10/19-10/21@ Irving Convention Center. You are Officially Invite to Attend Dallas Fan Days 2018! Are You Ready? Find All The Event Information you need to make Your Weekend SUPER! We Have Event Ticket Information and Event Maps including Parking. You will see Super Heroes, Captain America, Thor, Super Villains, like this Marvel Avengers Black Widow Costume; Comic Book Characters, TV Movie Classic Action Characters & Fantasy Gaming Creatures. This Fun Family Friendly Event is going to be unforgettable. 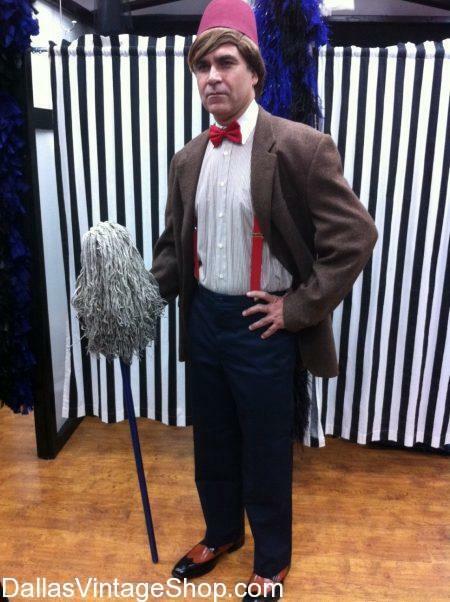 Get your Dallas Fan Days Costume Ideas from Dallas Vintage Shop. These Cosplay Costumes are just a few of the great costumes that are available in our Costume Megastore. Get complete outfits or just the accessories, weapons or makeup you need. You are in 2019 TBA (Q4) Dallas Fan Days category.